Learning the skill of breathing is key to swimming well. Swimming is as easy as breathing, literally. 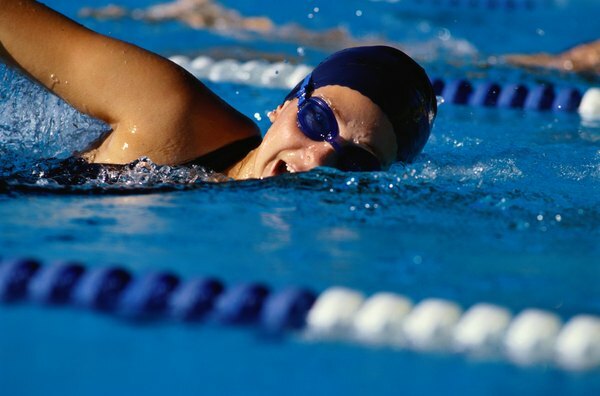 The better you breathe while swimming, the easier you’ll swim and the better your stroke will be. 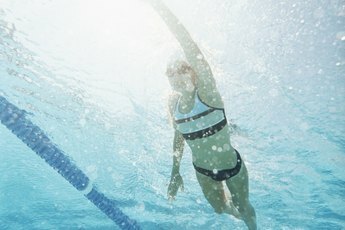 If the thought of jumping into the pool takes your breath away, there are a few exercises that might help you breathe, and swim, a little easier. It takes practice to develop any skill, and learning to breathe right while swimming is no exception. The first step to master is breathing in and out, or rather, when to breathe in and when to breathe out. A great way to develop this skill is by bobbing up and down in the water. First, breathe in while your head is out of the water, then breathe out as you go underwater. The key is to start breathing out just before you put your face in the water and to still be exhaling when your face comes out of the water because as long as you are exhaling, no water can enter your mouth or nose. Make sure to blow bubbles when practicing this exercise, because bubbles mean you're exhaling and not just holding your breath. Most of us tend to favor one side or the other when breathing for freestyle, but knowing how to breathe on both sides will help balance your stroke, explains USA Swimming. 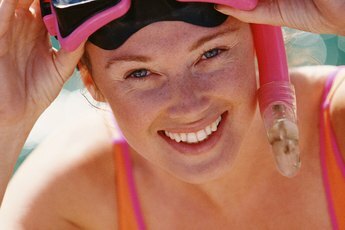 Bilateral breathing, or being able to breathe to either side, is especially helpful when you are swimming in open water because you’ll have an easier time with sighting; keeping an eye on swim markers or landmarks. A good exercise is to breathe only toward your weaker side during your warm-up and cool-down. One of the biggest worries when learning to master breathing is getting water up your nose. To avoid this, the Navy Swimming and Water Survival Instructors Manual suggests always slightly exhaling from your nose when your face is in the water, and suggests that a good exercise is to say the letter "K" with your lips closed when your face is in the water. The point of this exercise is to keep air flowing through your nose so that water can't come in, even if you are upside down. Another worry for many novice swimmers is getting enough air. You need to inhale when your face is out of the water, but if you turn and put your face back in the water before you've had a chance to take in enough air, you'll soon burn out. A good exercise to help you learn to breathe in is to turn onto your back as you take a breath, making sure to breathe in deeply before turning back over onto your stomach and putting your face in the water. Once you are conditioned to breathe in, the next step is to stop turning onto your back, but as you turn, hold your arm out of the water until you've breathed in enough air. Once you feel like you've had the chance to get a good breath, you can allow yourself to follow through on the stroke and put your face in the water as your arm goes in.